Joe Sixpack gets behind the label of house brands of beer finds many of those private labels aren’t that private. 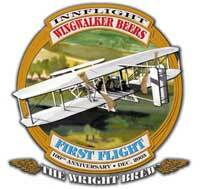 For instance Inn Flight Steak and Seafood Grilles number two selling beer, Wingwalker Ale, is really just Yards Extra Special Ale. Willie Sutton Lager at Fairmount’s London Grill is really Stoudt’s Fest. The bars look at the private label as a way to differentiate themselves, often with a fancy label and interesting back story. For breweries, it’s a way to sell more beer. Now not all house brews are just gussied up local beers, both Monk’s Cafe and Eulogy have had special beers brewed for them to their own specifications.